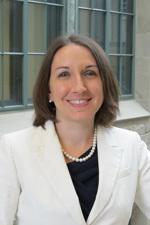 Catherine Barrera is the director of research administration at the McCormick School of Engineering. In this role, she oversees the School’s research administration, which includes monitoring compliance, proposal submission, award acceptance, and financial risk. She also facilitates training initiatives, collaboration, and coordination with external units, working with the deans to fulfill school initiatives and supervise the research administration team. Catherine has been a Northwestern employee for more than eight years. Prior to joining McCormick, she worked for the Weinberg College of Arts and Sciences and the Office for Research. She received her bachelor’s degree in finance from the University of Illinois in Urbana-Champaign and is currently pursuing her master’s degree in learning and organizational change at Northwestern University.